The Power Aero Big Pit reel which will come in a dark-ish and silver-ish version is an eye-catching reel for the fanatic carp- and surf angler. Stocked with technological features like strong HAGANE Gear and HAGANE Body, X-Ship, one-piece bail, and the new X-Protect this reel is designed to last for many years like a true workhorse. 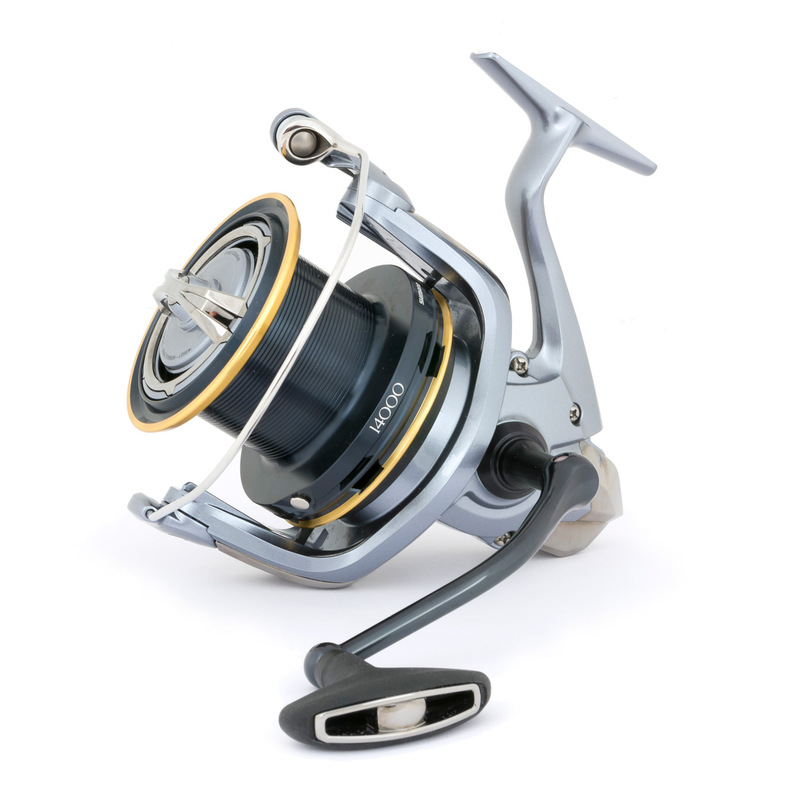 The reel has a relatively small body which gives the reel a compact feel. The Parallel Body feature is added to increase casting distance and accuracy by eliminating line slap during the cast. The Parallel Body in combination with the superb line-lay of the Super Slow 5 system will make sure that you can always cast your baits right there where you want them. The new Hi-Speed drag – which is even faster than Instant Drag – enables you to switch instantly from freespool mode to fight mode by only a very small turn of the drag knob.